In order to design and implement holistic and innovative solutions, our team at Momentum Design Lab continually makes a conscious effort to practice empathy in our design process. One way we do that is through the creation of customer journey maps. So many terms, so little time. Great, but why adopt it? 1. To understand abstract and hidden relationships within a system. Customer journey maps are rooted in human-centered design, a practice that depends on empathy. As human-centered designers, we must be thinking and designing for end-to-end user experiences, that are affected by different parts and phases of the system to which a service or product belongs. 2. To build direct customer empathy within the people who affect the actual experience. Data often fails to communicate the frustrations and experiences of customers. A story on the other hand, can do that, and one of the best storytelling tools in business and design is the customer journey map. It can be used to not only engage with users, but can be a powerful method for organizations to learn more about their customers through connecting, collaborating and getting alignment within teams. 3. To encourage productive discussion. 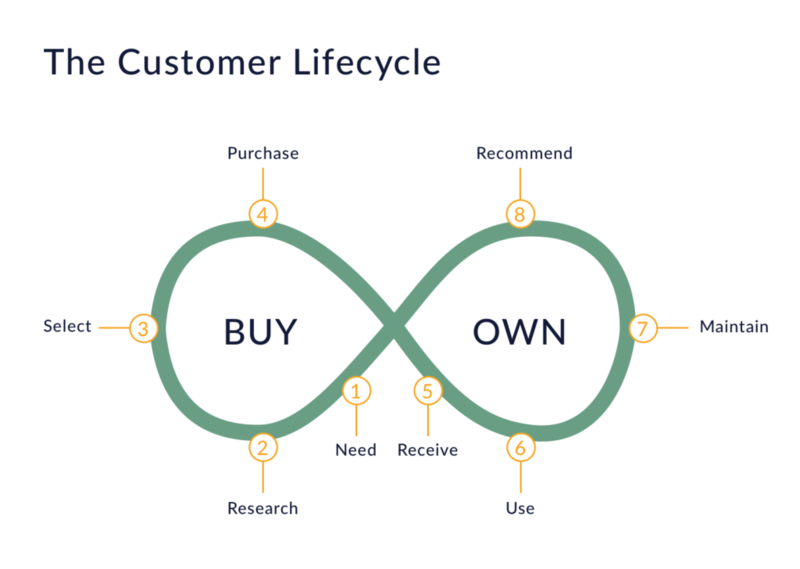 A customer journey should be treated as a living document. It can be created in the early stage of a project, or in a later one, as part of user testing to compare and analyze the experiences. Frequently, these maps can be “incredibly effective to encourage discussion of deviant cases, such as failure, misunderstanding, or product return” as stated by Austin Center for Design’s founder and director, Jon Kolko, in his book Thoughts on Interaction Design. The extent of qualitative and quantitative research done varies from project to project. After that, start by creating a list of all touchpoints: points of interaction the customer has with and outside the brand, as they are seeking to meet specific needs and goals. 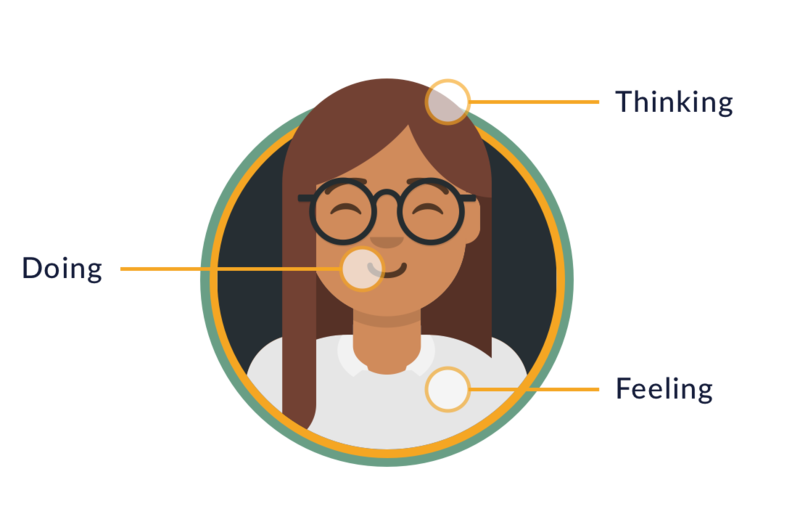 Collaboratively with your team, discuss and hypothesize what may be happening at each stage of the experience and divide them into logical sections of: Thinking, Feeling, Doing. You want to highlight opportunity areas and use visual design basic principles such as contrast and color theory to draw attention to what you are trying to convey. If you try to delight everyone, you will delight no one. By communicating a deep understanding of a customer’s behaviors and interactions, the ideation phase of our design process allows for more targeted and innovative ideas to emerge that would fit the context. Designing for meaningful experiences requires focus. 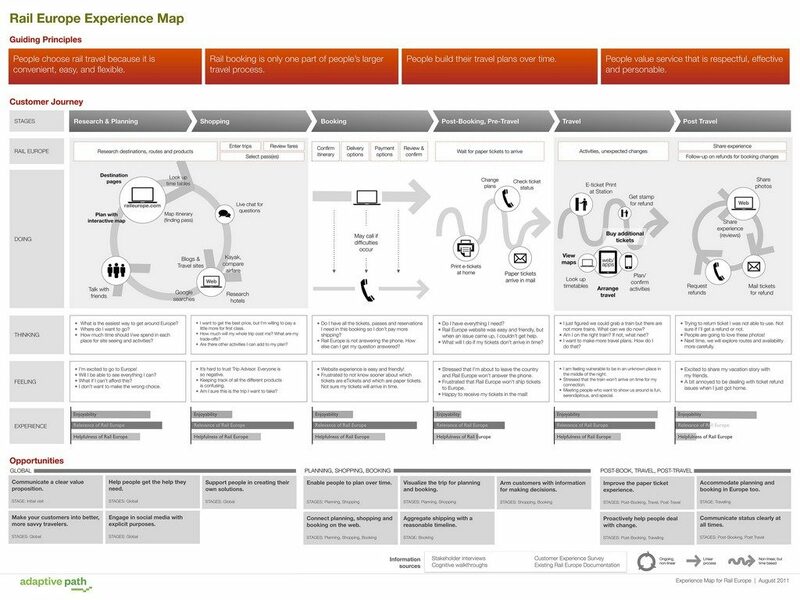 A journey map can help us understand and diagnose experience issues in order to reframe and reimagine new ones. Use it as a tool. Show it to people in your organization. Make it colorful by adding new post-its, to include edits or new discoveries. Our ultimate goal is to provide the best experience for the customers, by making sense of complex systems and continuously adopting the best tools to do so.